Another cute gift idea from Birdorable! The Jabiru is a large species of stork found in parts of Central and South America. It is the tallest flying bird found within its range, and second only to the Andean Condor in width of wingspan. This is our totally cute Birdorable Jabiru! You can customize this gift! Move the stork around, change the product color or style, add text or images -- make it your own! 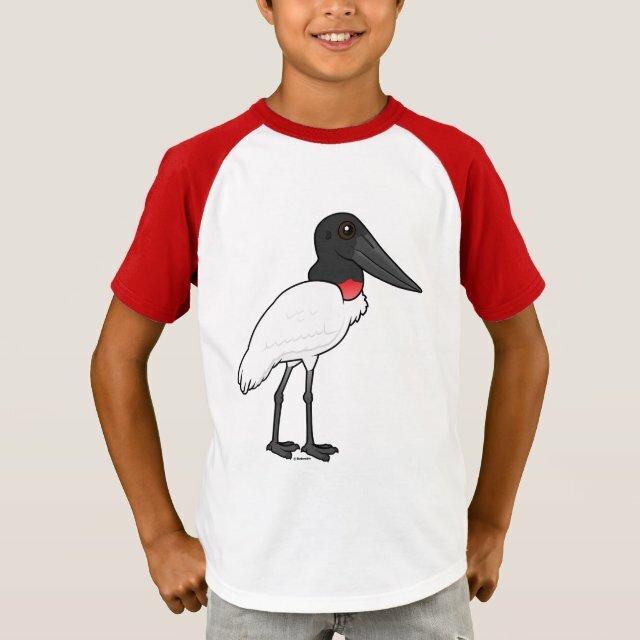 If you'd like to see the Birdorable Jabiru on a different product not currently available, please send us a message and we can make the product available in our store. Take him out to the ballgame or the classroom with this oh-so-soft baseball raglan tee, available in crowd-pleasing colors and styles.